A snow globe is a whimsical, sentimental addition to your holiday decor! These DIY snow globes are the perfect project for the holiday season. You can customize them with your favorite miniature figures, select the perfect colors, and experiment with different types of snow. They're also a wonderful gift to give to friends and family, and you can put together a whole batch of them in a very short time. This holiday season, make some snow globes for the people you love and watch their eyes light up! 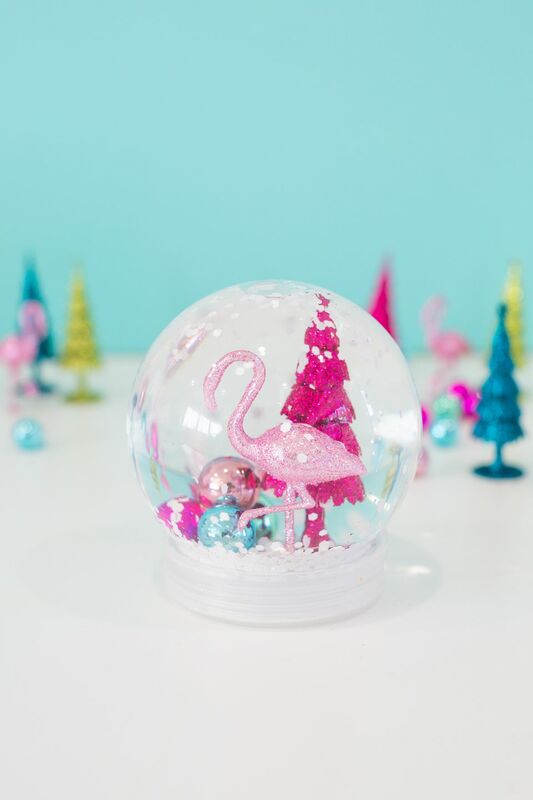 You should be able to find everything you need to make an adorable snow globe at your local craft store. We used a snow globe jar, but if you'd like, you could also use a simple mason jar or something similar. Also, when you're looking for your miniature figures to include inside the globe, be sure that you find items that are an appropriate size and won't be too tall once you close your snow globe. Start by using your glue to create a scene with your miniature figures to use in the snow globe. If you're using a snow globe jar, you'll glue your figures to the top of the plug that inserts into the globe. If you're using a mason jar, you'll glue your figures to the underside of the lid (with a mason jar, once your snow globe is complete, the jar will stand upside-down). Arrange the pieces so that they'll fit inside the jar once you close it up. Apply glue to each piece, ensuring that they're secure. Then allow the glue to dry and cure according to the instructions on your glue packaging. Add about a tablespoon of glycerine to your globe. This will help the glitter or snow float more slowly down to the bottom, rather than drop directly through water. Fill your globe with water, add the lid, and shake until the water and the glycerine are combined. If you're using a mason jar and your figures are still drying, just place your hand over the open jar as you shake. 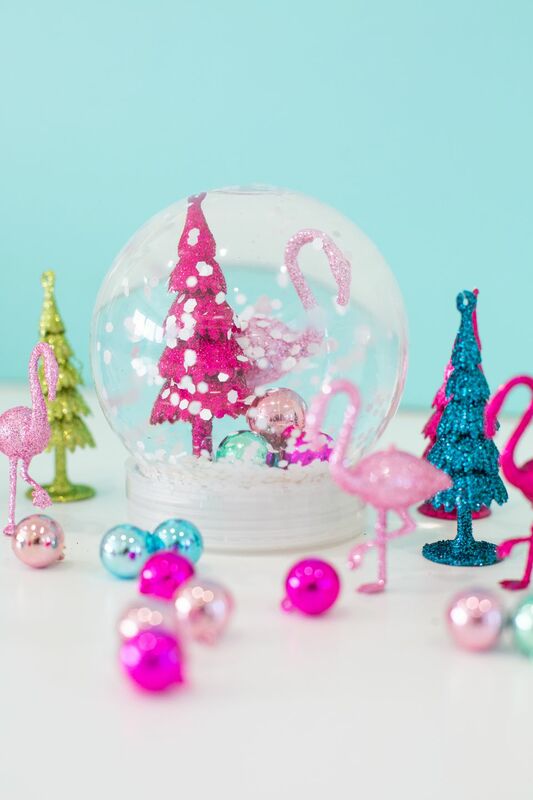 Add about a tablespoon of glitter to your snow globe. At first it may float on the water, but it will incorporate and float around once your globe is properly sealed. If you're using a snow globe jar, carefully add the plug with the scene you created. Do this over a sink, in case some water spills out as you do. The goal is to have as much water in the globe as possible, to avoid large air bubbles. If you're using a mason jar, simply screw on the lid and you're done. If you're using a snow globe jar, the final step is to add the lid and seal it tightly! Flip the jar right side up and shake it around to incorporate the glitter. Now you can enjoy your snow globe! Give it as a gift or keep it for decor in your home.